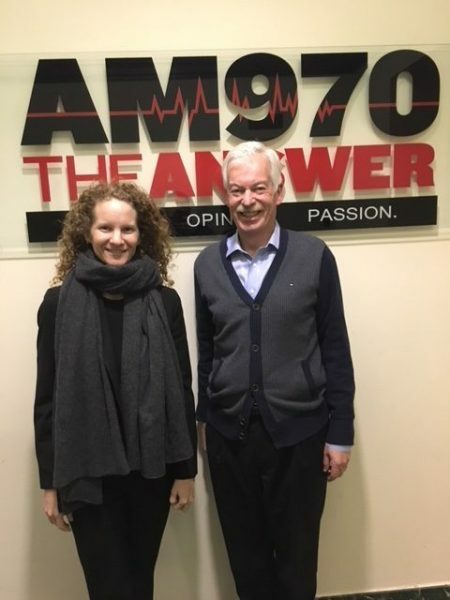 The following is a conversation with Sharna Goldseker and Michael Moody, co-authors of Generation Impact, and Denver Frederick, Host of The Business of Giving on AM 970 The Answer in New York City. Denver: It has been reported that a new generation of donors is expected to inherit some $59 trillion by 2061, with nearly half of that amount targeted for charitable causes. So, it’s hard to overstate the importance of understanding the collective mindset of this emerging group of philanthropists. That is exactly what my next two guests have set out to do. They are Sharna Goldseker and Michael Moody, the co-authors of the new book entitled, Generation Impact: How Next Gen Donors Are Revolutionizing Giving. Good evening, Sharna and Michael, and welcome to The Business of Giving! Sharna: Thanks for having us. Michael: Yeah. Thanks for having us. Denver: Well, let me start with you, Michael, and let’s get right to it. How does this generation of donors differ from their predecessors? Michael: First of all, I just want to reiterate what you said which is the supreme importance of this group of people that are just now becoming the donors that are really going to be not only the major donors in America… and really the major donor for any nonprofit that any of us really are involved in for the next several decades… but they’re going to be major donors at a level that’s really historically significant. So, it’s very important to answer this question that you just asked: What’s going to be similar, and what’s going to be different about them? And what kind of philanthropists do they want to be? One of the questions we always get, first of all, is: Are they going to want to give to the same causes as previous generations? We can talk about the specifics of that, but the punchline basically is: The answer is, yes. They’re going to give to the same causes. For the most part, the causes are not what’s going to change as this next generation becomes the major donors in our society. What’s going to change is how they want to give to those causes. They want to change the strategies that they use. They want to change the amount of experimentation and innovation that they try in order to achieve change on those causes that they care about. They want to engage with those organizations that they support in new and deeper ways, and we can get into the details of what that will look like. But the point is overall, they want to give to the same causes, but in new ways. And they want to do so, not just because as many people often think: the next generation comes onto the scene, and they just want to change things because they want to make it their own. They give it their own stamp. The next generation — what they told us when we talked to them — was that they want to change it because they think we can have more impact if we do things better. That’s why we call the book Generation Impact. They’re extremely focused — we even say in the book, sort of obsessed with — having more impact on those causes that we’ve been trying to solve and address through philanthropy for many, many years. So, they’re trying to focus on changing strategy and innovating and on developing new, deeper, more engaged, hands-on relationships with nonprofits in order to create better impact. Denver: It sounds like what you’re saying is that the very idea of being a philanthropist is going change. Michael: Yes. I think it’s interesting that if you talk to these donors as we did, they don’t really think of themselves as philanthropists. They do recognize their importance, this position of influence and power in our society, and they take that very seriously. Because for them “philanthropist” is not only sort of a hard word for them to use to think of themselves, from their own identity, their sort of emerging identity, but they don’t think that giving and giving money is the only way, which is what philanthropy traditionally is. They think that’s only one way, and maybe not even the most effective way to cause the impact and change they want. They want to make change by being socially responsible investors as well. They want to make change by being deeply engaged volunteers. So, the concept of philanthropy in some ways for them, they want to make it much more broad. They want to say if you’re out there trying to do good in the world… as somebody that we used to think of as a philanthropist… now and in the future, we’re going to have to think of those people as social investors, as volunteers, as partners – close donor partners — with those organizations on the frontline doing the work. The concept of what is a philanthropist and how we approach them to help us to do good is going to change, for sure. … you have the next generation that doesn’t want to wait until the sunset of their lives, like those gilded-age philanthropists who give back. They want to give now. They want to start making an impact now. To your point, I think it’s a mistake for nonprofits to wait for the next generation to become the age of their grandparents to become involved when they’re ready to start now. Denver: Yeah, much more holistic view. There’s a lot of pressure for a nonprofit organization, Sharna, to generate revenue now to support their vital work. So, considering the limited bandwidth that many of them have, they put off engaging next gen donors to a future day. Is that a mistake? Sharna: I think so. We used to have — when the gilded age of philanthropy was at its height – Andrew Carnegie and Julius Rosenwald, and the Rockefellers – adults who waited until the end of their lifetimes to be major donors. They accumulated their wealth and then gave back to society. As Michael was saying, you now have people who are making great wealth at younger ages, inheriting as you mentioned that incredible wealth transfer at younger ages. We know of the $59 trillion that’s supposed to be transferred to Gen X and Millennials, that nearly half of that is going philanthropically. So, they’re looking at the world with these great social ills. Many of the Millennials having grown up among the World Trade Towers coming down, hurricanes Katrina and Rita, Columbine… like lots of social issues that are directly impacting their lives. They want to make a difference. Then, of course, you double down by saying this is a generation that grew up with mandatory community service. Parents dragging them to all kinds of opportunities to distinguish themselves among the largest generation we’ve had since the baby boomers. So, you have a next generation that doesn’t want to wait until the sunset of their lives, like those gilded-age philanthropists who give back. They want to give now. They want to start making an impact now. To your point, I think it’s a mistake for nonprofits to wait for the next generation to become the age of their grandparents to become involved when they’re ready to start now. Denver: I hear you. You surveyed and interviewed quite a number of these next gen donors. How do they feel, by and large, about the way nonprofit organizations are treating them? And what do nonprofits have to do to interact with them a bit more effectively? Sharna: You know, if you think about someone we wrote about in the book named Victoria Rogers… When she was in seventh grade, her father started to encourage her to volunteer; seventh grade, she was twelve. She started to teach art classes at the Sue Duncan Children Center on the south side of Chicago. From there led to her passion for arts and started to intern for Creative Time which does public art, joined the board of Creative Time. Now, at the ripe age of her early 20s, she is on the board of the Brooklyn Museum of Art, in addition to being at Stanford Business School. With 12 years of experience in the nonprofit world, she is ready to roll up her sleeves and play an active role. How do nonprofits approach young people, thinking that they’re just the kids or the grandkids of their major donors? Not ready. … if you can find that connection with the next gen, think about the fact that they’re joining you potentially in their early 20s or 30s, you’re going to actually have a loyal donor for decades. Denver: I know so many nonprofits who are challenged to find meaningful work for these volunteers, much less manage them. What advice would you have for those nonprofits? And conversely, what would you advise some of these young people who want to volunteer with these nonprofit organizations? What do they need to keep in mind? Oftentimes, nonprofits only have one lever. They only have the board. They don’t have that many seats to offer a lot of young people who want to join. But I do think next gen have ideas of their own about how to participate. We had a couple of people we interviewed say, “Here’s the problem, though. I come with ideas, and the nonprofit professional will say, ‘Oh that’s a nice idea. We’ll get back to you.’” And then they never hear from them and forget it. They’re done with that. They’ve lost the opportunity to engage that potential donor. They said: “If you were candid with me, I don’t need this to be rosy. I don’t need it to be perfect. I know that this is hard work. If you were to say to me, I don’t know yet how that fits in with my scope of work, but let me think about it and get back to you.” Then you would actually start to build an authentic relationship, and if you can find that connection with the next gen, think about the fact that they’re joining you potentially in their early 20s or 30s, you’re going to actually have a loyal donor for decades. This is a generation that’s growing up at a time when those boundaries between for-profit and nonprofit have been blurring, and not only companies becoming more socially responsible — in part to appeal, of course, to the Millennials who want this to be more socially responsible; they want to invest in those companies that are demonstrating a clear double bottom line or a triple bottom line, and they believe they can do as much good, again, through that kind of investment in social businesses and social enterprises as they can by making grants and making gifts. Denver: Lots of years. Good advice. You indicate in the book, Michael, that next gen donors are embracing nontraditional funding methods, some of which are kind of blurring the lines between nonprofit and for-profit ventures. Speak to that, and give us an example of one or two if you would. Michael: This is part of what I mentioned before where the next generation wants to create impact, and they’re willing to do whatever’s necessary to create that greater impact, including taking chances on things that don’t look like the traditional writing checks to nonprofits, to 501c3 traditional nonprofits, or making grants through a foundation in the way that we sort of lived with as the primary method of funders trying to achieve change in the causes they care about for many, many decades. They are very excited. Frankly, we’re in a time in which these sorts of changes are happening really across the sector and in the nonprofit world; there’s a lot of this change going on. I’m sure you talk about it on your show quite a bit. The next generation wants to take that to the next level. They’re really excited about those changes because of the potential for those changes leading to more impact. So, specifically, some of the things that they’re interested in — the most significant one, the one that they talk about over and over again, and some of the people that we talked to are sort of evangelists for this idea — and that is impact investing. Aligning their investments, of which as we’ve already talked about, their investments, their financial assets are historically significant; the amount that they are inheriting or making themselves. They want those assets to be invested in ways that fit with their values in the same way that they want their charitable investments, their grants and their gifts, to be aligned with their values. This is, of course, changing the investment industry, the financial advice industry, where they’re having to develop impact investing funds and socially responsible investing options for the next gen. But the next generation of people who think of themselves as donors and supporting causes… they think they can do as much good, if not more good, by changing how they invest their assets…and changing how their family invests their assets. One of the dynamics we encountered quite a bit was the next generation coming on to an established family foundation board and being the force for change in how that family foundation invests the endowment. The most famous example that’s sort of been out there in the news, and we also really dived into it in a deep way with him in the book is Justin Rockefeller, who’s sixth generation of the Rockefeller Family. He sits on the board of the Rockefeller Brothers Fund, and when he got on to that board… along with his sister and other people, they began to push for the Rockefeller Brothers Fund divesting itself of fossil fuel stocks and investing in sustainable energy stocks. The significance of that, America’s most famous fossil fuel fortune family divesting itself of those stocks in the name of greater impact and social responsibility, was very significant, and Justin has been… he talks a lot about this in the book, about how this is really for him driven by wanting to be values-aligned in all parts of his life. And he’s now also dedicating his professional career to helping other next generation folks and their families to share information about how they can do similar things with their impact investing. So, that’s the most significant one… was their desire to do good, and to create change and impact through their investments. Justin was a great example of that. I think other ones that the next generation are interested in, what you hear a lot about of course is crowdsourcing, crowdfunding. But not just on the web. The next generation of major donors are really excited about various forms of collaborative giving. Again, in the name of leveraging more impact by pooling funds and pooling strategies in a way with other families and other donors. They’re very excited about funding social businesses. This is a generation that’s grown up at a time when those boundaries between for-profit and nonprofit have been blurring, and not only companies becoming more socially responsible– in part to appeal of course to the Millennials who want this to be more socially responsible; they want to invest in those companies that are demonstrating a clear double bottom line or a triple bottom line, and they believe they can do as much good, again, through that kind of investment in social businesses and social enterprises as they can by making grants and making gifts. The last one I’ll mention is that they’re interested in giving in different ways outside of just traditional nonprofits by focusing on advocacy, organizing and even political giving. We’ve had a few people in the book that talk about that. The most famous one, of course more nationally, is the Chan Zuckerberg initiative that Mark Zuckerberg and his wife have started. 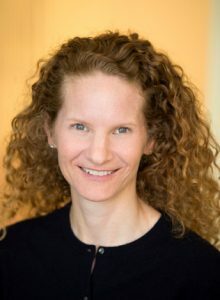 Not only did they create an LLC instead of the traditional nonprofit… and to be the vehicle for their primary giving… but they did that so that not only could they invest in social businesses — alongside making more traditional philanthropic grants, but that they can also invest in political activities and other things that an LLC can do that, say, a big family foundation like the Chan Zuckerberg Foundation couldn’t do. And that’s because the next generation is sector agnostic. They don’t believe that good only happens in the nonprofit sector. Good can happen in the political sector. Good can happen in the business sector, and they’re willing to try anything that’s going to create more good and impact in the world. Denver: Sharna, as we talk about this huge intergenerational transfer of wealth, as Michael touched on a moment ago, we’re talking about families. How should families be preparing for this? Sharna: Sure. There are at least three examples I could give you. We could talk all day. But let’s maybe start with three. As we heard a moment ago from Michael, the next generation is really driven by values, and they want to align their decision making with their values. But just to state the obvious, they’re also coming of age and figuring out how to move from adolescence to adulthood… we’re talking about the Millennials in particular. How do we help them clarify who they are before we get to “what do you want to fund?” So, sometimes, just stepping back, and rather than having the argument of “Do you want to fund– scholarships in your local community, when the other grandchild wants to fund microcredit loans in Africa….? Rather than a family going head to head on grant making, how do we step back and say, “What does the family value?” What’s been passed down from generation to generation? How do these values, your core beliefs, motivate you to make the decisions you are going to make here in this arena? Giving time and energy to helping the next gen clarify their values and the building blocks for their philanthropic identities is number one. Number two, I actually think families underestimate the power of communicating legacy. We know from research, Marshall Duke and Robyn Fivuish at Emory University talk about the kids who know their family narrative, this larger intergenerational narrative that they’re born into, actually have greater self-esteem, and those who even know the highs and lows, the ups and downs that the family has been through, have greater resilience. We have heard from all these people that we interviewed just the power of the family telling their stories. They may not go out and fund the same things as their parents and grandparents, but understanding that they’re part of this intergenerational wealth transfer you talked about… really the values, the stories, the experiences, the skills the families acquired to empower the next generation to take up their role in it, I think is the second piece of advice. Don’t underestimate the power of storytelling to help the next generation find their role in it. The last piece really is connected to this. The next gen wants to take that legacy to the next level. They want to steward this responsibly, but they want to make a difference. Investing in the next generation’s education and preparedness is really the third piece. I know parents are often worried that once they give the keys to the philanthropic car to the next gen, what’s going to happen to the car? From these stories we’ve heard, the next gen who had some room to learn about philanthropy and learn about it in a hands-on way… When we asked the next gen in our national survey that we fielded: How do you want to learn about giving? “Through experience” was the top answer. So, I think about Sara Ojjeh who was featured in the last chapter of the book who says in her teens, her parents gave her and her three siblings an advisor to work with, some financial resources, a couple of stipulations like a certain percentage of it had to go to their local community… but the time and the space to explore on their own: how they wanted to clarify their values, think about the impact they wanted to make, go do site visits, read proposals, learn how to make decisions, make some mistakes. She talks about having permission to fail forward at a young age before the money increases, before the stakes get higher. So, values clarification, family narrative to see where you fit, and then lastly, some time and space and trust to prepare for making your own journey in the world. 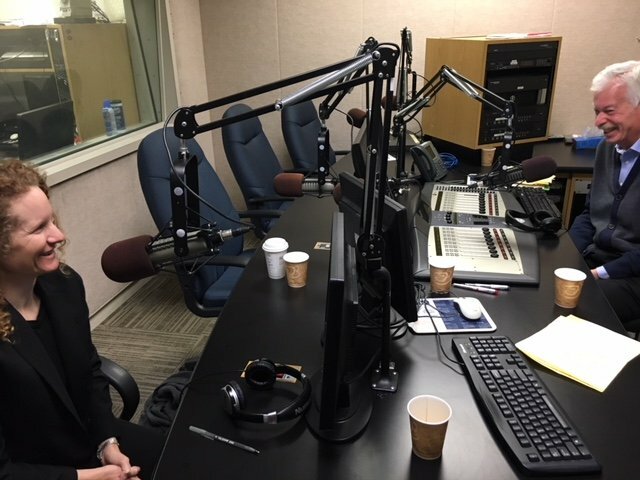 Denver: Let me just pick up on that one thing you said about wealth advisors.What role are they playing in this intergenerational estate planning in a family? Sharna: It’s a great question. I think historically, wealth advisors are chosen by the primary client, and you often choose an advisor who is a peer of yours. Then you have the next generation come in and oftentimes, the client says, “Please help prepare my kids, the beneficiaries to play a role.” It’s complicated. The advisor needs to build a relationship with their primary client’s kids. There’s a moment in time, as we’ve said in this book, this is the most significant generation coming up to have an impact philanthropically on society. There’s an amazing opportunity for advisors to build those relationships with the next gen.
A little bit of self-motivation we’ve also discovered through research is that after the first parent passes away, only 45% of the kids stay with their parents’ advisor. And after the second parent passes, only 2%. So, to really save their own practice, they might want to have a relationship with the next generation. Really, they can be doing the same three things we just talked about that parents can do. They can actually say, “Look, come to my office, and we’ll convene a conversation about values and see how you want to align your values with your giving and your investing. We can set up the storytelling exercise here. We can help you plan your philanthropic journey and sort of be in loco parentis. If you don’t want your parents looking over your shoulder as you’re figuring out how to learn about philanthropy, we can support you.” And I think we’re seeing more advisory firms positioning themselves that way, adding some of these what they would call “soft skills” to their hard products. They want everybody to be on the field at the same time, bringing their own special skills, experience, and assets to that team. Frankly, that team is much more effective if it’s a multigenerational team; to extend the metaphor, if it’s got both rookies and veterans on the field at the same time, the rookies bring in their new excited energy, their new ideas, their willingness to experiment; and the veterans bring their savvy and their wisdom and their connections in the field, and other things. I think both of them on the field at the same time makes for more effective giving. Denver: With all these changes afoot, Michael, are there any of the more traditional ways that philanthropy has been done which next gen donors really seem to particularly like and want to carry forward with them? 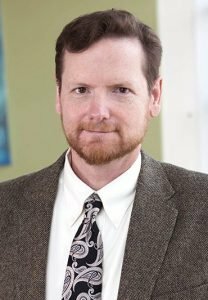 Michael: What I mentioned was that one of the major findings from this work is that the causes that they’re interested in really aren’t going to change significantly from the previous generations, and I think that’s a really important point of continuity that will hopefully be good news to many people. Certainly people who work in organizations that are focused on those causes that have gotten a lot of attention from previous generations, the next generation is not going to abandon healthcare. They’re not going to abandon education. Now, there are some differences. First of all, the similarities. When we asked them what causes they’re interested in, the top two causes that they’re interested in for the next generation: education and basic needs. Those are the same two that they said their parents and grandparents, their family members have traditionally been involved in and giving to as well. So, they’re exactly the same. As you go down the list of all the different cause areas, the ranking tends to be roughly the same. There are some slight differences. For example, the environment and climate change… those kinds of issues, animal rights causes. Those tend to be a bit more of a focus for the next generation than they have been traditionally for older generations. Religion is somewhat less of a focus because of the decline in religiosity more generally. Although, those next generation folks that we talked to who were involved in religious organizations and consider themselves religious, they still continue to give to religious causes in the same way. The next generation is more interested in, for example, advocacy giving, giving for organizing, for movements, for human rights, women’s rights, LGBTQ rights…those kinds of organizations. But that, I think, is a major point of continuity is that the causes that their parents and grandparents have traditionally given to are going to continue. I would also say that the way in which they want to engage with family in their giving is also a really important point of continuity. They don’t want to set out on their own and say, “Okay, thanks for the push, family. Now, I’m going to leave you behind, and I’m going to go off and do my own thing.” They still want to give with family in a multi-generational way, and I think that another piece of good news for the field who’ve been traditionally working with the older generations is: if they can find a way to help the next generation be involved with their parents and grandparents in giving, then that’s going to strengthen the field. The metaphor we use in the book is, we often in this field talk about the succession in philanthropic families as this sort of relay race, and it’s also true for succession on nonprofit boards. The idea that one generation is running along with the baton, and then when it’s time to pass along the baton to the next generation, they do that, and they stop running, and the next generation takes off with the baton. The next generation pretty much hates that metaphor. Their metaphor that they prefer is a team sport. They want everybody to be on the field at the same time, bringing their own special skills, experience, and assets to that team. Frankly, that team is much more effective if it’s a multigenerational team; to extend the metaphor, if it’s got both rookies and veterans on the field at the same time, the rookies bring in their new excited energy, their new ideas, their willingness to experiment; and the veterans bring their savvy and their wisdom and their connections in the field, and other things. They think both of them on the field at the same time makes for more effective giving. So, they want to continue that multigenerational approach to giving. I think that’s another key strategy for giving in the future that will continue. Denver: I’ll just keep my eyes on the baton, and it’s getting that baton to move as fast as it possibly can, that’s where our focus should be. Sharna, Millennials and Gen Xers, they’re more collaborative generations than the baby boomers were. How does that show up in the way they approach their philanthropy? Sharna: Previous generations have this maxim of giving time and talent and treasure. We decided after these interviews and writing this book, that we would add “ties,” the fourth “T” to the maxim. Because the next generation is so focused on their ties, on their networks, on their connections. What’s interesting to us though is it doesn’t just end with their social media connections, which I think is what comes to mind when most people hear about the next generation and their connectivity. They are really looking to their peers for learning because they’re not yet really engaged with the philanthropic infrastructure organizations that support older generations. They don’t know that there are memberships and conferences and all kinds of things to go to. So, they are looking to their peers, perhaps through giving circles, for example, to learn about how to give and what to give… just like Sara Ojjeh and her siblings learned together how to give. In this case, the next generation is saying, “How do I make the most strategic decision that I can? How do I make the most impact? What advice do you have to give me?” Thirdly, they are looking for inspiration. A lot of them say, “Where is a good idea I can find? How can I participate in something that’s going to be the most effective?” So, they’re getting ideas from their peers. Denver: That’s a way to have a voice. No question about it. Let me close with this for the both of you, and starting with you, Michael. What do you believe the ultimate impact of next gen donors will be on the social sector and the way we view it, the way nonprofits have to operate, and, just really, how society goes about trying to solve its problems? Michael: Certainly things are going to change. We talk in the book about… we use the language of revolution, which we don’t use lightly. It is a revolution in the strategies and the approaches that big donors are going to take in the future. And frankly, it’s a revolution that requires significant adaptation, on the part of nonprofits as we’ve talked about, to engage these next generation donors in the different kinds of ways that they want to be engaged. So, I think the nonprofit sector and the social sector more broadly is going to fundamentally change in the next several decades, and it’s starting right now as these next generations become the leaders of that sector. It’s going to mean a more engaged way of involving those people who are your major supporters. It’s going to be a continued, flourishing of a number of new ways of doing good in the world. We’ve seen that happening for the last decade or so. But that’s going to continue, and there’s going to be new vehicles being invented, new approaches to funding being invented, and I think that experimentation is really going to continue to ramp up, and that’s going to affect all of us. The final point I want to make though is that we really don’t know all the ways that things are going to change because the next generation are just coming into their roles as major givers and major social investors. So, they’re just figuring out what kind of things that they’re interested in doing, what strategies they prefer. I think we want to emphasize just how significant this moment in history is when these donors are forming their identities, figuring out how they want to change the field right now. So, those nonprofits that want to engage them, they need to do so right now. They need to help them have those experiences that the next generation donors want to have in order to develop themselves as donors and find their identity. We all need to pay close attention to how they’re evolving into their roles because what those roles end up being, what those identities end up being, are going to affect all of us in significant ways for decades to come. So, right now is the time for us to be paying close attention, and we’ll see where they take it in the future. Sharna: I think we all have to have great humility. From incredible wealth accumulation from Wall Street to Silicon Valley, incredible wealth concentration happening right now. One percent of our nation owns more than 43%. In the world, there are eight people who own more than half the world’s population owns. More than 3.7 billion people, not to mention incredible wealth transfer that you mentioned. There’s a serious amount of wealth and at increasingly younger ages. I think the next generation donors are trying with earnest effort, we found, to take responsibility for what they have at young ages. Of course, we want to remind them that with great humility, they can achieve the impact they want to have that the world needs. Similarly, I hope that the people who engage with them realize that they are figuring out how to do the best that they can. Ultimately, we’ve discovered at our work at 21/64 over the last 15 years, the next gen can often be paralyzed by the success of their predecessors and the footprints they have to fill. They’re paralyzed by the prosperity that they have — “Why do I have this and others don’t?” Or paralyzed by the possibilities of what they could do in the world with 1.5 million nonprofits in the US alone — “How do I make the most impact?” Really, we want to just help them, as my colleague Christine Keffler says, just find their purpose. 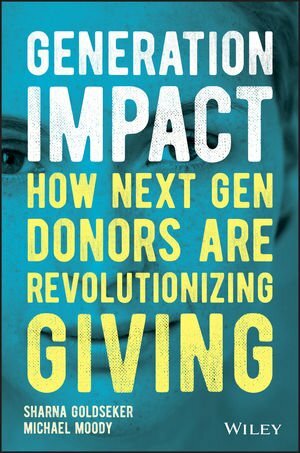 So, I hope that our book gives some examples of how to best engage next gen donors as they try to make an impact and have a better world for all of us. Denver: Sharna Goldseker and Michael Moody, the co-authors of Generation Impact: How Next Gen Donors Are Revolutionizing Giving. I want to thank you both for being here this evening. Sharna, tell us about the website the book has and what kind of information people will find if they go visit? Sharna: generationimpactbook.org. We look forward to providing you with copies of the book, discussion guides, other kinds of interactive resources for your family philanthropy and other philanthropic tables. Denver: Fantastic. It was a real pleasure to have both of you on the program. Sharna and Michael: Thanks for having us.